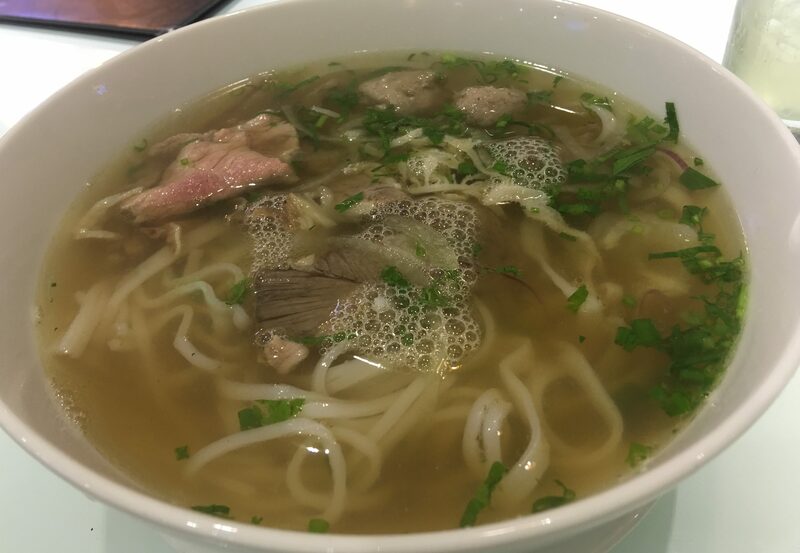 I need some Phở, as it was a little rainy and wet in Saigon, and I wanted some of the lovely soup. 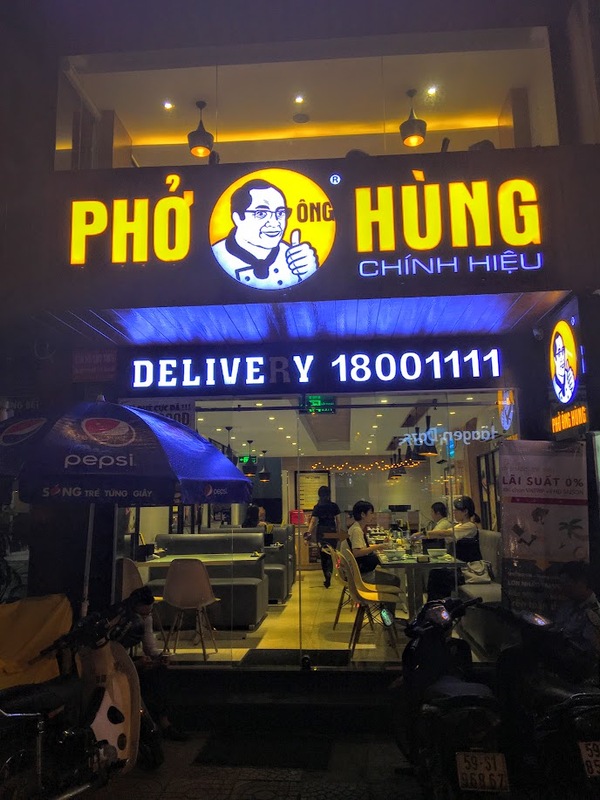 It was a little late at night and my options were limited, thus, I went to one of the chain shops – Phở Ông Hùng. When you head into the chain, you’re not sure what you are going to get. I would prefer the street version, because I feel the broth is deeper, but this will do. The special. The broth was nice, but not as deep and rich as I would have wanted. It will do. Here are some Shrimp Rolls. Nicely crisp and flavorful also. Very chain-ish, and expensive compared to the stalls that are open in the morning and during the day. Yes, it was only 143,000 VND (6.50 USD) for all this food, but a bowl of Phở is around 50,000 at some of the better places. Yes, go here, the Phở is good. It’s just not an authentic Vietnam experience. 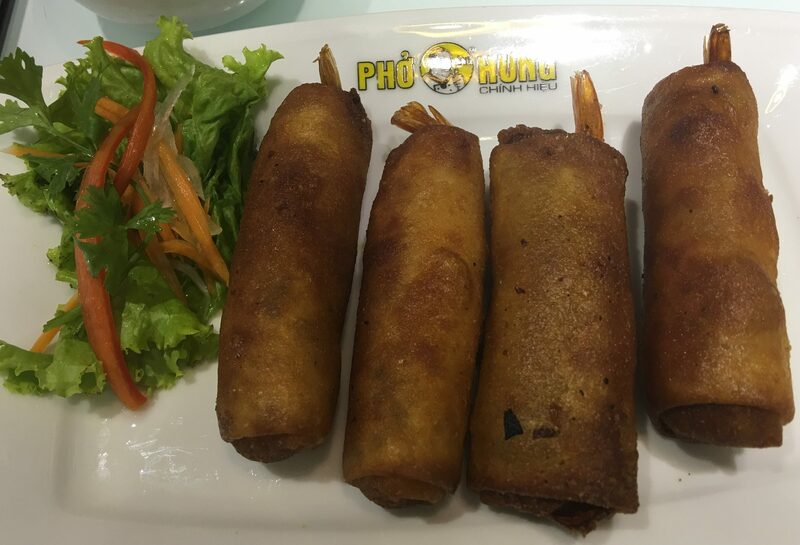 Posted in Ho Chi Min City, PhoTagged Ho Chi Minh City, Pho, VietnamBookmark the permalink.